This new dish is now on the new winter menu at Garfish Crows Nest. 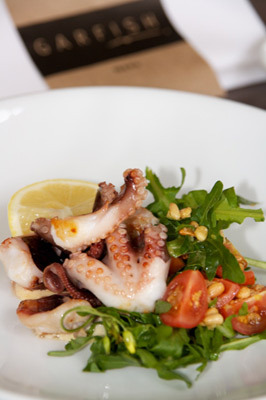 It Features local Australian Octopus matched with rocket, cherry tomato, aioli and lemon dressing. Crows Nest Head Chef Caryn and Executive Chef Stewart demonstrate this dish in the video below.